GO HERE and print these 3 coupons to get a free Noosa Yoghurt, Avitae Caffeine + Water, and a free SunnyD Sweet & Smooth! All 3 are totally free at your local Jewel-Osco. Hurry & apply to get BRÖÖ Craft Beer Thickening Shampoo & Conditioner FREE. This is through Mom’s Meet so you will have to sign up for a free account to be able to apply if you don’t already have an account. Just go HERE. Right now you can score a free sample of Garnier Fructisc Sleek & Shine Zero. Just click the link and fill out the short form. If you head over to this website you can request a freebie of It’s a 10 Miracle Leave-in! This is a really nice freebie! For those of you who may not be familiar with this product, it’s a high end salon brand. GO HERE to request your free sample. This one is while supplies last! You can request a free sample of Lean Bean Coffee to help drop some lbs! HURRY! Get free dog treats! Hurry and head to this site for free treats for your pooch! there’s offering a choice of two different flavors! While supply’s last. Go here to request your free samples! 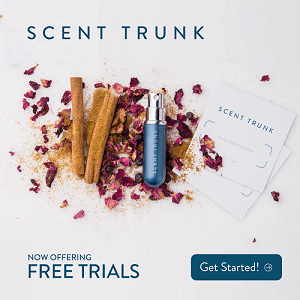 There’s a new cologne on the block and when it goes live they’ll mail you up to 4 free samples! All you have to do is enter your email to request yours.